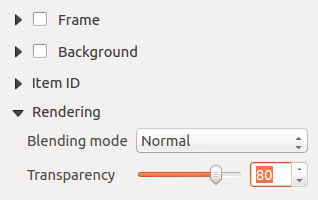 Here’s a cool trick which you can do in QGIS 2.0. It builds on two new features introduced in version 2.0 – atlas prints and html labels. Atlas prints (previously available as a plugin, now integrated into QGIS core) were developed by Oslandia, and allow you to create data driven map layouts from a specified coverage layer. You can read more about them here. There’s a couple of things to note here. 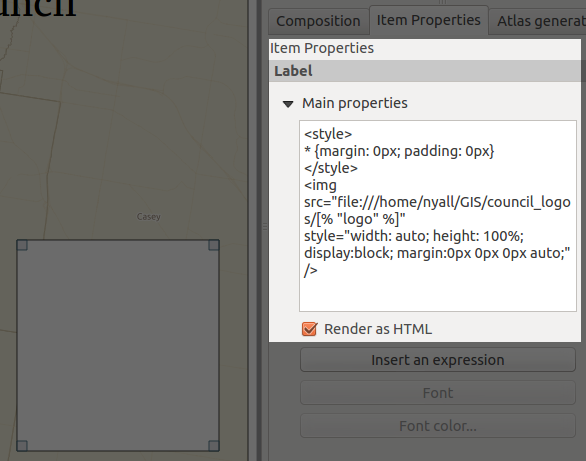 First, the magic happens in the image’s src attribute (“file:///home/nyall/GIS/council_logos/[% "logo" %]“). 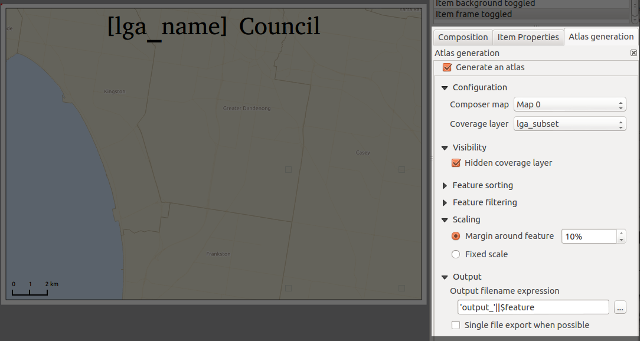 When the composer is exported, QGIS will replace the [% "logo" %] part with the contents of the logo field for each row in the councils table. 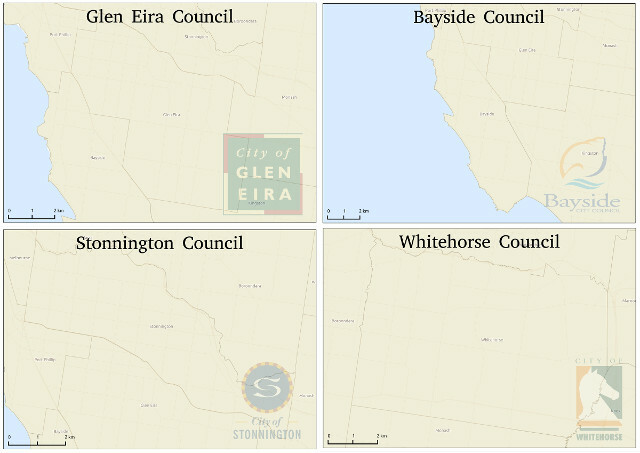 This means the image source will then point to the local copy of the council’s logo, eg “file:///home/nyall/GIS/council_logos/glen_eira.jpg” for the first row. to force the image to right align within the html label. This ensures that all the watermarked logos will appear in a consistent size and position for each map. Ok, we’re all done. Now, when I select Composer -> “Export as Image”, we’ll get a lovely set of council maps complete with watermarked council logo! There we go — all ready for print, with no manipulation in external programs required at all! 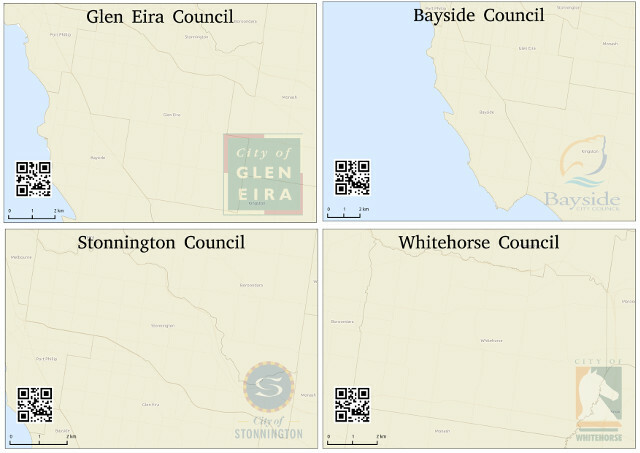 Now when we export the maps we’ll also get a QR image generated on the fly and inserted into the layout! Complete with dynamically generated QR code! Combining HTML labels and atlas prints in this way is extremely powerful. This example is just touching the tip of the iceberg – I’m keen to see what the community can do with this when QGIS 2.0 is released! favicon.cc is an online tool for creating that perfect favicon for your web site. Yes the irony hasnt escaped me that my own site needs one! ajaxload.info is a cool little site that helps you to create an 'waiting' gif that you would typically use in an ajax application while the user waits for something to happen.